Virginia has 212 designated opportunity zones, including 207 low-income communities, plus 5 non-low-income contiguous tracts. Statewide, rural areas account for just 14 percent of Virginia’s census tracts. 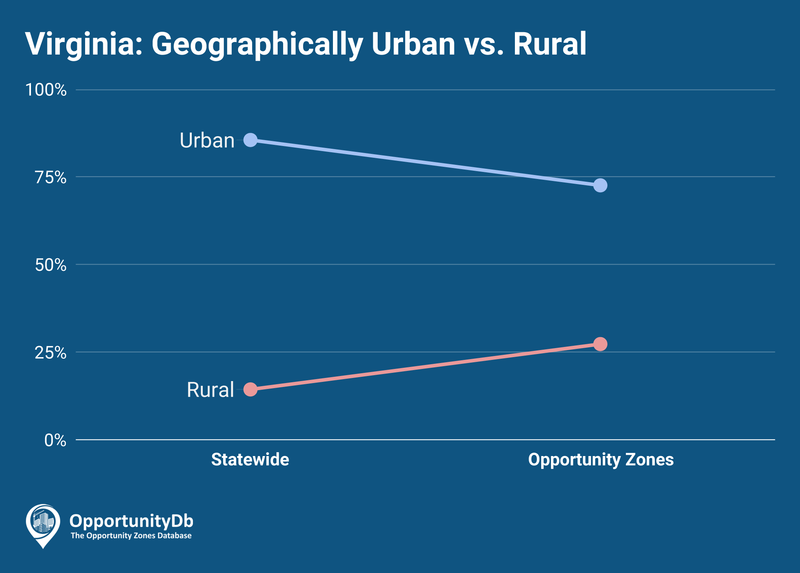 Among the state’s 212 opportunity zones, 27 percent are rural.